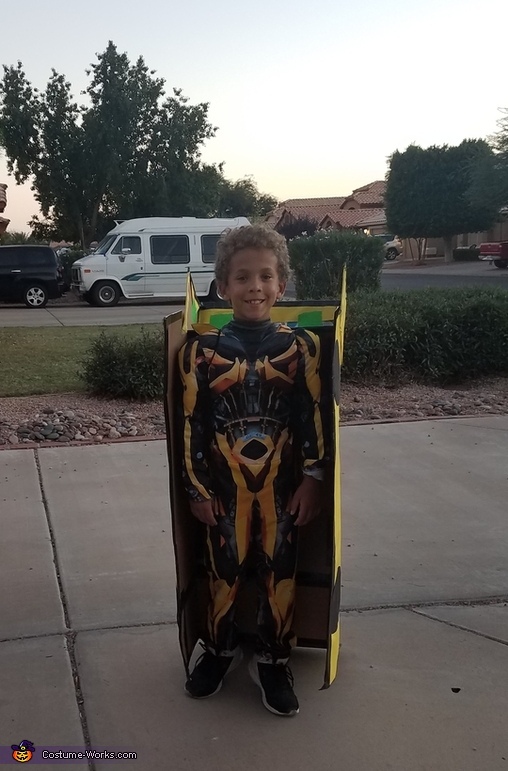 My son Ethin (7years old) loves the Transformers Bumblebee. So when he got a bumblessed costume I made him the car to transform into. What an inventive costume! Love it!